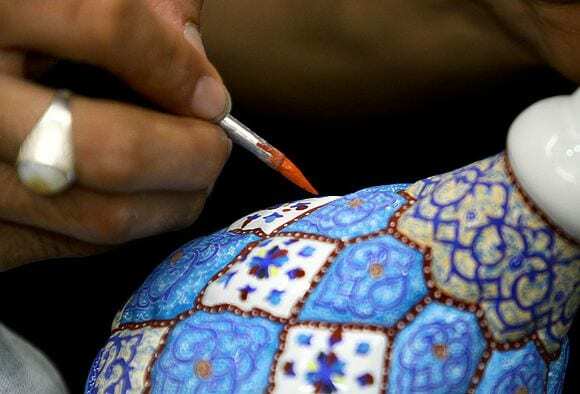 Enamel working and decorating metals with colorful and baked coats is one of the distinguished courses of art in Esfahan . Mina is defined as some sort of glasslike colored coat which can be stabilized by heat on different metals particularly copper. The art of Minakari or Enamelling is called miniature of fire as well as the decoration of metal and tile with mina glaze. Minakari or Enamelling is the art of painting, colouring and ornamenting the surface of metals by fusing over it brilliant colours that are decorated in an intricate design. Mina is the feminine form of Minoo in Persian, meaning heaven. 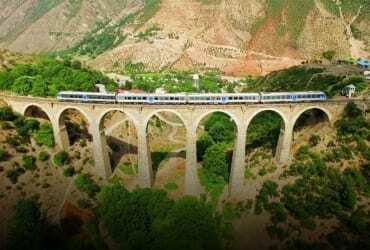 Mina refers to the Azure colour of heaven. 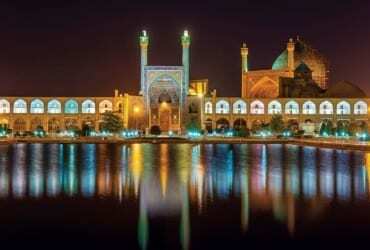 The Iranian craftsmen of Sassanid era invented this art and Mongols spread it to India and other countries. French tourist, Jean Chardin, who toured Iran during the Safavid rule, made a reference to an enamel work of Isfahan, which comprised a pattern of birds and animals on a floral background in light blue, green, yellow and red. 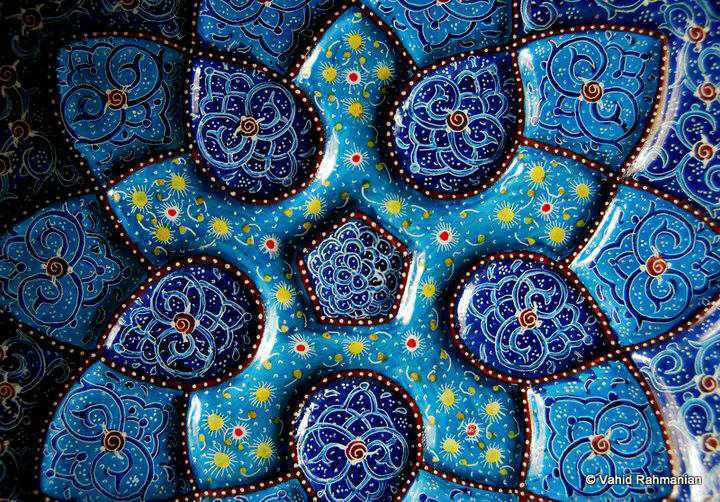 Enamel is usually used to embellish vase, jewelry and candle holder in addition to doors and chandeliers of holy shrines. 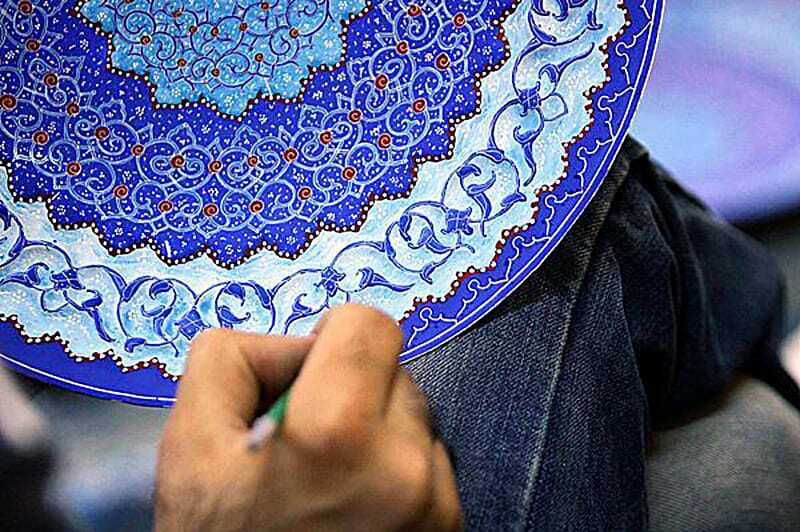 Isfahan is the most important Iranian enameling hub. Enamel works can be washed with lukewarm water, soap and even ordinary detergents.